Birthdays are such special occasions. I LOVE birthdays. I love planning all the details that go in to the special day. At my house, when it is your birthday, you get to pick what we eat for dinner and what type of cake we will have. The last few years my kiddos have gone off topic when it comes to cake. My girls have opted for apple pie, French silk pie, cookies, and root beer floats instead of cake. 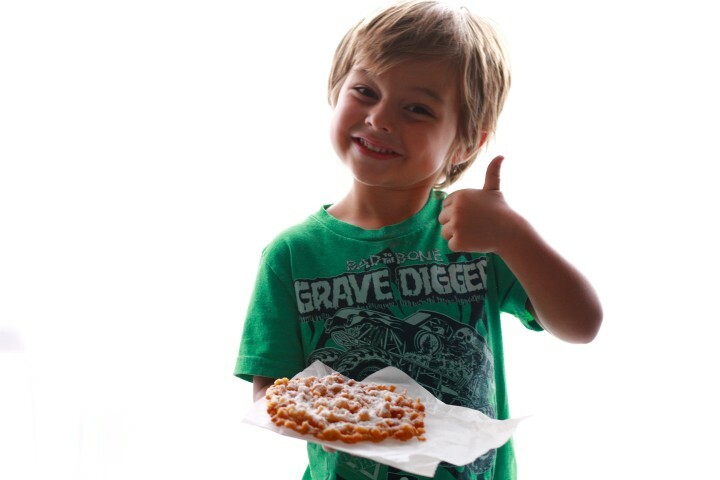 This year Kasper chose funnel cake. I hope that gave you a chuckle because it sure made me laugh when he said it. 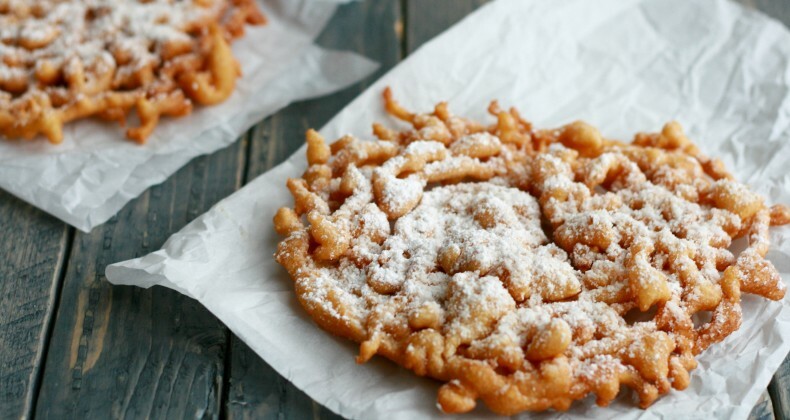 Funnel cake?! Seriously dude. 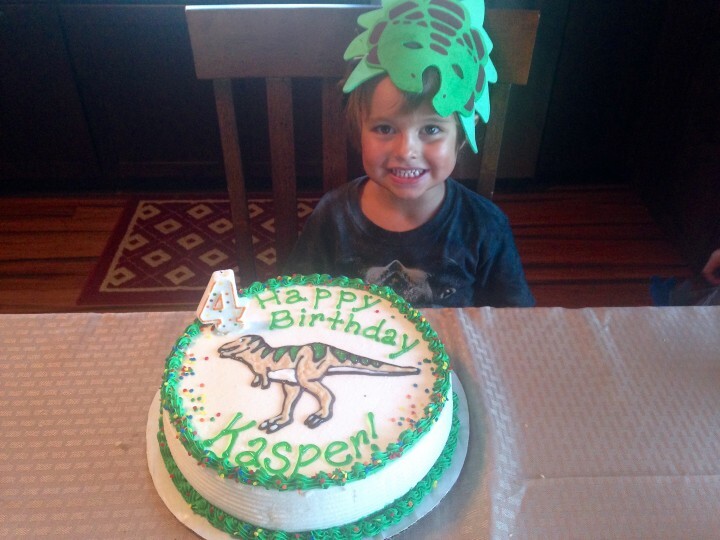 We had a birthday party with the extended family a few days before his actual birthday. There we served grilled burgers, brats, three different types of salad (strawberry fluff, tomato and cucumber, and macaroni salad) and an ice cream cake. Perfect food for a hot August birthday. On his actual birthday we had chicken noodle soup and funnel cake. Leave a four year old to plan your menu and this is what you get. Summer is full of county and state fairs. None of which we attended this year so I didn’t feel too bad about bringing this fair treat home. I didn’t want to heat up a bunch of oil so I used my cast iron skillet and only added about an inch of oil. I used an actual funnel to drizzle the batter into the hot oil. This is the real deal here folks. 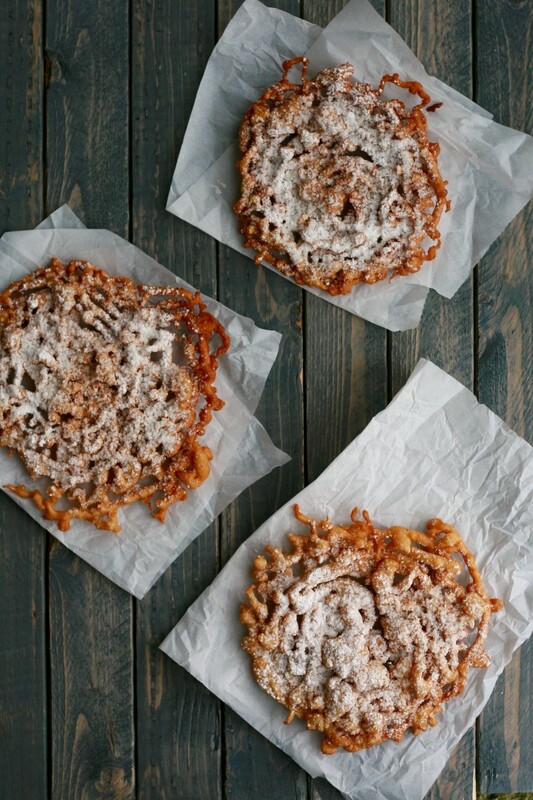 The best part about making these at home is you get to control the size of the funnel cake. Dinner plate sized cakes not your thing then make cute little mini ones. Of course I let the birthday boy have the biggest one. He loved shaking powdered sugar on top and was so happy eating his birthday (funnel) cake.